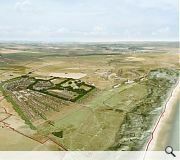 Concept visualisations for Donald Trumps controversial plans for a £1bn golf resort have been released by Gareth Hoskins. 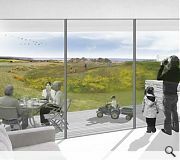 The pics depict file citizens enjoying a parkland landscape, taking in the beauty of what is a Site of Special Scientific Interest. 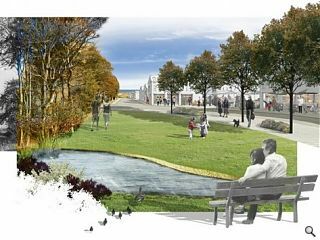 Architecture is only hinted at so far but depicts three storey terraces fronting a central promenade with ground floor retail. 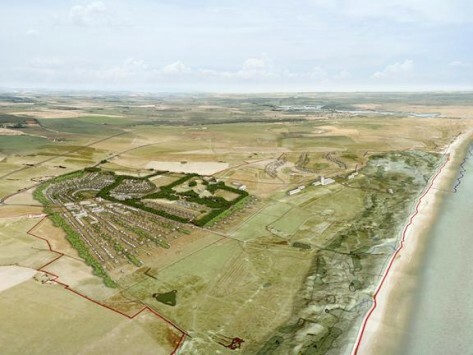 It is only from an aerial perspective that the true scale of works becomes apparent however with the site accommodating 500 houses, 950 holiday homes, a hotel and two 18 hole golf courses. 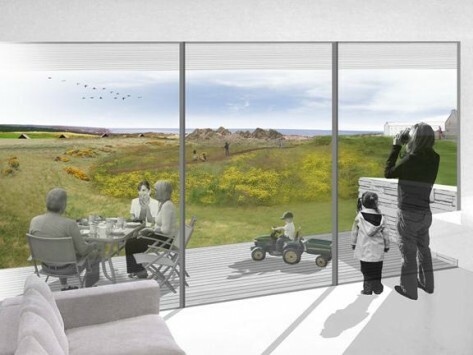 Plans for the Menie Resort will be put on display to the public at the end of this week.